Tired of using trays and sticky strips to whiten your teeth? Try this simple DIY treatment to help brighten your smile! 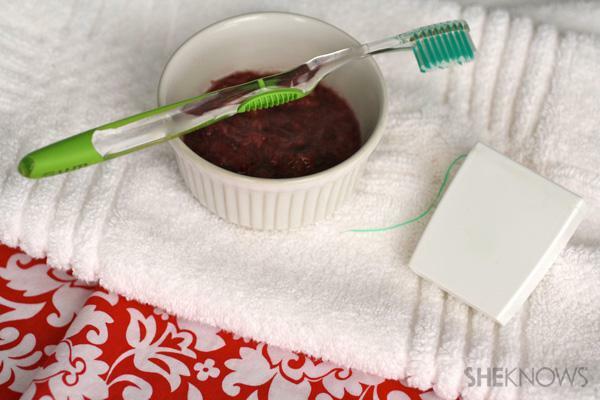 A mix of strawberries and baking soda might sound like you’re ready to bake something tasty, but instead of baking, make yourself an easy DIY teeth whitener. Save your dentist visit for your cleaning. 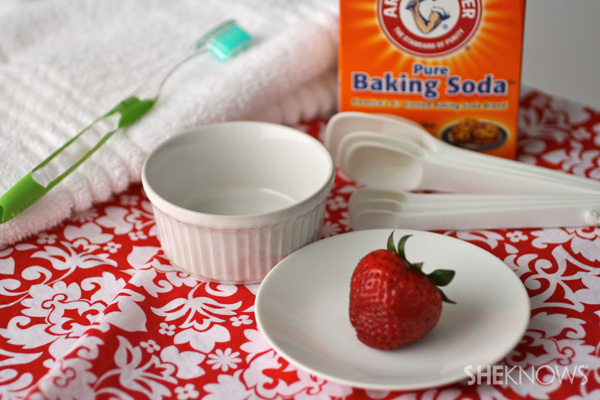 Just two ingredients are needed to make this simple whitener: a strawberry and baking soda. Strawberries contain malic acid, an ingredient that acts like an astringent and can help remove surface stains and remove some plaque buildup. The sodium bicarbonate in baking soda is what makes it fizzy and can also help remove surface stains on your teeth. Brush your teeth with the strawberry-baking soda mixture for just a few minutes, and then rinse your mouth out and brush with your regular toothpaste. Floss your teeth, too, as the strawberry seeds can get stuck between your teeth. Don’t use this method too often (consider once or twice per month), as it may be too harsh on your tooth enamel if used too much. Talk to your dentist if you have concerns or to determine what whitening method is best for you. Mash the strawberry in a small bowl and mix it with the baking soda. Place the mixture on your toothbrush, and brush for a few minutes. Follow by brushing your teeth with your regular toothpaste and flossing.